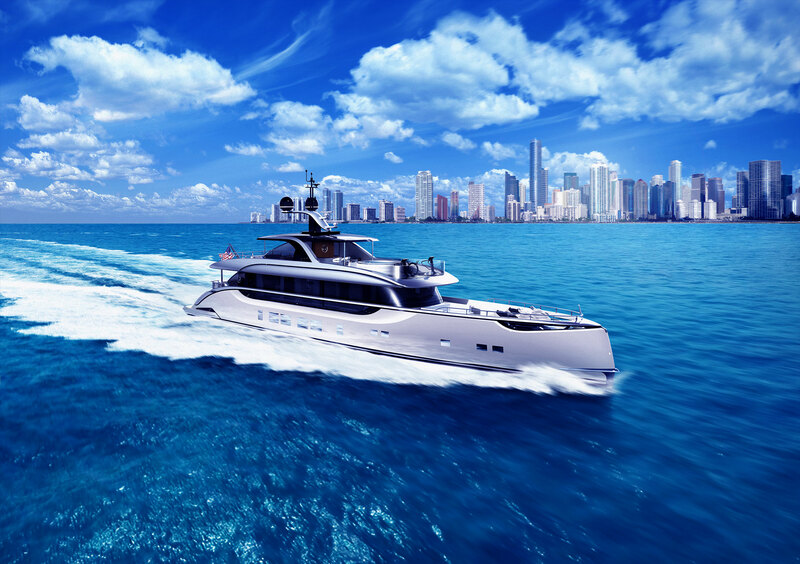 The Italian design firm Federico Fiorentino has revealed it’s latest design in collaboration with Italian superyacht builder Eurocraft Cantieri Navali. Eurocraft is known for building customer yachts from 35.5m to 60m and up. This new expedition design is based on inspiration drawn for workboat styling. 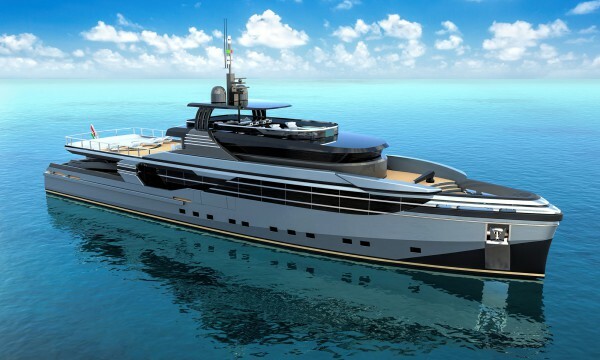 The 46m expedition design is currently being built at Eurocraft’s yard in Vado Ligure, Italy. Studio Federico Fiorentino refers to the superyacht as a “true crossover” that combines modern style with serious exploration capability such as an ice-class hull. New 46m Expedition design created by Federico Fiorentino and built by Eurocraft. Federico Fiorentino has collaborated with Eurocraft in the past to create the 43m Eldoris concept which embodied a similar contemporary style and long range cruising ability. When creating this new 46m design elements of tugboat design were used for inspiration including the atypical bow and large rub-rail. The open deck space created by the design allows for tenders up to 10m to be stored on deck in addition to a variety of exterior lounging areas. The interior layout includes five luxurious staterooms to accommodate up to 10 guests. There are additional accommodations for nine crew members. Upon completion the 46m design will be the largest superyacht built by the shipyard to date.